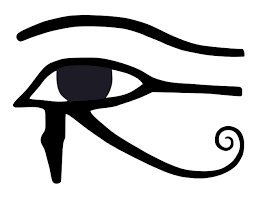 The Eye of Horus was also believed to have healing and protective power, and it was used as a protective amulet, and as a medical measuring device, using the mathematical proportions of the eye to determine the proportions of ingredients in medical preparations) to prepare medications. The Egyptians did write prescriptions. Those prescriptions were composed first of magical verses and then secondly the real prescription. 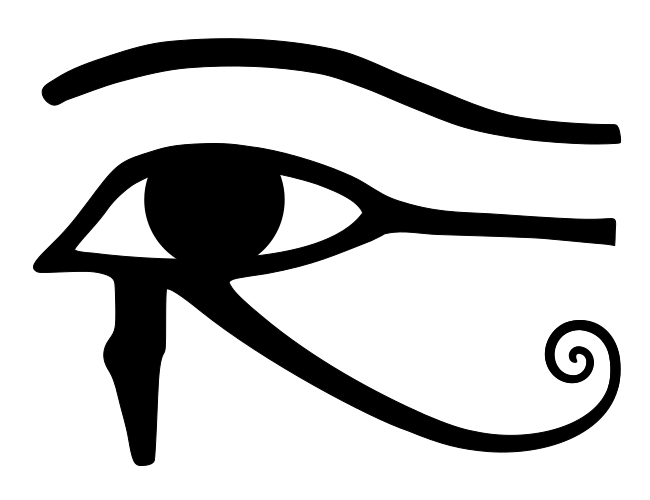 The Eye of Horus was an important part of the magical part of the prescription. With time the magical part became smaller, and the real prescription more important. Eventually, all that was left of the magical verse was the Eye of Horus. The sign has remained in pharmacist’s shorthand to this day with Rx being the sign for a prescription! Many bee products are used for healing and it is likely that there the direct connection between bees and good health goes back before Ancient Egypt. Together, the left and right eyes represented the whole of the universe, a concept similar to that of the Taoist Yin-yang symbol. Spiritually, the right eye reflects solar, masculine energy, as well as reason and mathematics. The left eye reflects fluid, feminine, lunar energy, and rules intuition and magic. Together, they represent the combined, transcendent power of Horus. I was meant to find this page. All the others are spam but I am real. I was watching a show on magick and I started wanting to draw a bee symbol. A magical symbol and I was looking through images with the Google search terms bees and flowers. I passed the eye of Ra image and I had scrolled up to close the page and I caught the eye on the way up and I realized I wanted to know why an eye of Ra was in a Google search term of bees and flowers. And so I’m reading and in the show I was watching it talked about some people being healers and I have been told in dreams to be a doctor, so I went back to finish my bachelors at 39 to become a doctor. I’m in the last two years. So now I read and it all made sense. I always have bees land on me. My life is full of strange symbols and coincidences like this. Life is magical if you believe. Email me if you wish (if you feel inspired, if this all makes sense to you) with your response. I left you my real email. We are SO pleased that you have found such inspiration in our pages, Tanya. How special was your message from the love and light that the bees brought you. How kind to send such blessings. May they be returned many times over in your quest to heal the world. Andy may you find more and more beautiful coincidences in your search for Truth! Bees have been visiting me regularly for several years now, setting up shop in and around my home. My mother once had a gigantic hive removed from inside a ceiling. Swarms are not uncommon out front on our plum tree. This past summer, when I was carrying my son Kali Ra, I has greeted by one very determined bumblebee. In fact, if not for his persistence in getting my attention, I’m sure it would have taken me much longer to put all of this together. He would fly around the back yard, disappearing into the distance, then return to rest directly in front of me as I sat at the picnic table on my deck. This went on for 30 or so minutes, with my mom chastising me for “wasting time talking to a bee.” It was clear to me that this little guy was trying to connect. I noted his sunken, “sucked out” appearance, which stirred me to Google “sick bees.” Low and behold, I found extensive information signaling dehydration and bee fatigue, with a suggested treatment protocol of presenting a honey and water mixture. How simple a solution, and how powerful a contribution, if this kind of care is of use to the skinny bumblebees of the world and known as a worthwhile support technique by more of us “two-leggeds.” Just like I was taught when raising butterflies in 3rd grade. Why hadn’t I thought of this, without having to scan the net? Perhaps this ignorance concerning of our capacity to help in simple ways points to a greater anthrozoological problem. No doubt, there are many who would write off my interpretation of the experience I had with the skinny bee, attributing his presence to chance and my analysis as overly influenced by “pregnancy hormones” or a myriad of other, less inspired explanations. This kind of criticism isn’t unfamiliar. I know my truth and, as I recall John Lennon’s song “Let it Bee,” I remember how disempowering and futile it can be to try and convince another of something they do not have the eyes to see. I don’t consume animal products, so it was very strange to me when gifts of honey started showering me while pregnant. Never had I ever received honey as a gift, but now I have several bottles stockpiled. 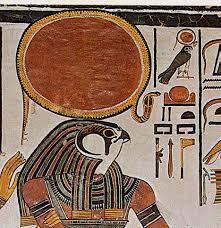 My son’s middle name of Ra also has pertinence, as it is said that tears of the sun god Ra fell and formed honeybees, which went on to impart secret messages to mankind. Wow. What a wonderful occurrence! Bee well!